My wife and I just finished watching Blue Bloods. We watched it all through the end of season 5. There is no more for now… Groans and frustration. The next season starts in September 2015. We watched it slowly over the last few months on Netflix and Amazon Prime. In case you aren’t familiar with the show… The story centers around the Reagan family. They have been involved in NYPD law enforcement for several generations. The father, Frank Reagan (played by Tom Selleck) is the police commissioner as his father was before him. This adds an interesting dimension to the well-worn cop genre as the family often has to work through their own struggles and sometimes heated disagreements. Additionally there are the authority issues of having your dad being your boss and the most powerful law enforcement figure around. All of this makes for some good TV. The Reagan family is far from perfect. To the contrary, they have a number of frustrating flaws. And yet the family is presented as virtuously catholic. This is not a secondary element of the series. They actually pray in Jesus name. It is a big deal and has felt so unusual that I have been shocked. The standard fair from Hollywood ubiquitously depicts christians as hypocrites or self righteous. So it came as a shock to see them create characters that actually look like the people I know. One of the important plot lines throughout the show is the Sunday dinner where the family both laughs, cries, and argues their way through the difficulties of life. It is honest and often touching, without being sappy or cliched. The cast also consistently displays the scars and wounds that face law enforcement families. So there is a fascinating juxtaposition: It is hard to love a job that ends up hurting you. The show explores marriage problems, sibling rivalry, grief, PTSD, and moral failures that face law enforcement. Additionally, the show is set in New York city. This provides the ready opportunity to explore a variety of topics like gang violence, racism, police corruption, terrorism, stop and frisk policing, etc. 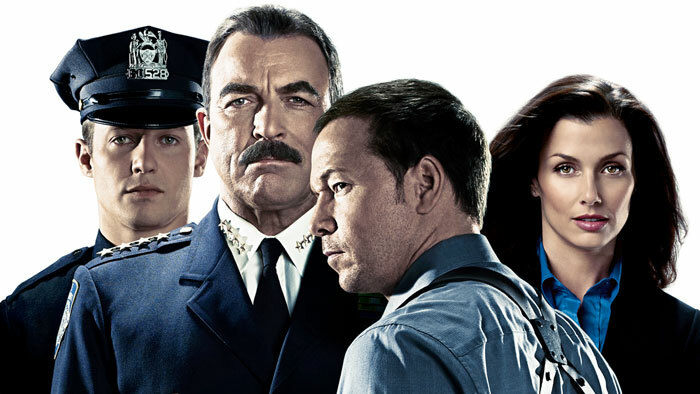 Any show that runs for 5 years will bump up against unrealistic situations and dialogue, and Blue Bloods doesn’t escape this. But it’s still worthy in spite of the little blemishes. I am looking forward to season 6.